amazing. my daughter has extremely sensitive skin, rashes happen quite frequently. we have tried many creams and was unaware this existed.. but when i finally came across it, it was exactly what we needed, so soothing. The Honest Company Soothing Bottom Wash was a godsend for me when my toddler was a baby. He had a bad reaction to a brand of diapers I was using and this soothing bottom wash helped immensely. Simply used it on his bum during bath time and it provided immediate relief and there no was no more redness on his bum. The honest company is an amazing reputable company that uses only the best natural ingredients for our skin. 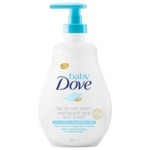 I feel confident and comfortable using any of their products on my child's skin and have had an amazing experience with this bottom wash. My son has very sensitive skin so we've gone through quite a few bottles of this stuff and I would use it again for a next child for sure. 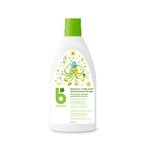 I use this spray on my baby's bottom since she is allergic to baby wipes. It is gentle and she does not break out in a rash from it. I wipe her with a small dry cloth and launder the cloth after use. If your child is sensitive to wipes, please try this!! Good product, liked the concept. Feel like there are just so many products out there for kids and I am not sure if this is a necessary one. Adds one more step to the bedtime ritual. It's a nice spray that I use after I wipe her bum. I find it helps with diaper rash. I wish this was sold in Canada as its only sold on the website. Great company though!